what is life? but the connection of mind, heart, body and soul. At eumelia, farm land, nature, nourishment and humanity unite to create the ideal “topos” for the manifestation of oneness. 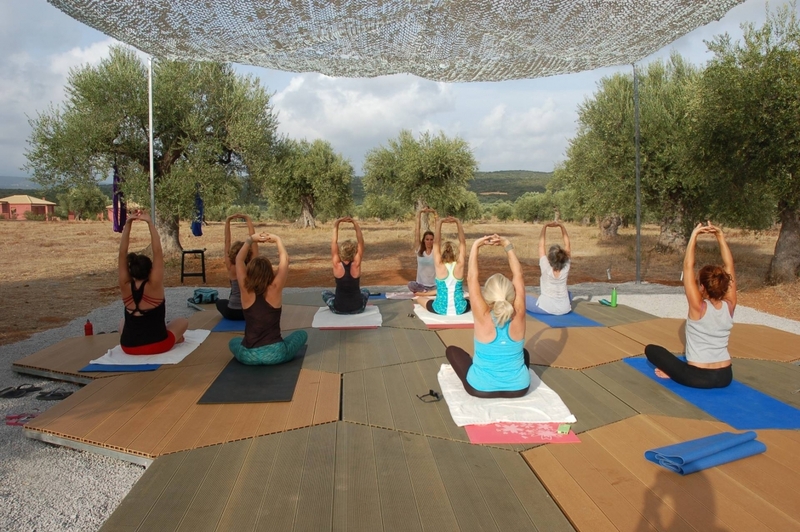 Take a yoga class in the middle of perennial olive trees. Enjoy a private massage in your house. 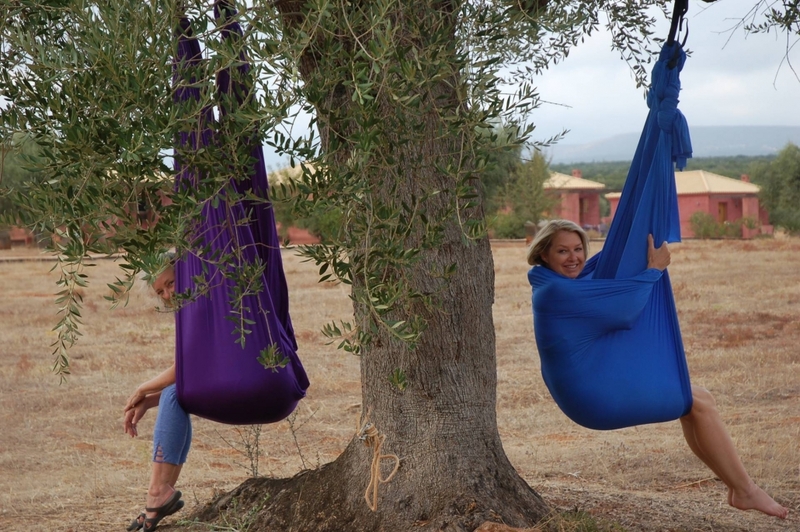 Hike or bike among the olive groves. Be part of our week long yoga retreats where we open as many doors to oneself, through yoga, meditation, gastronomy, sights and sounds. 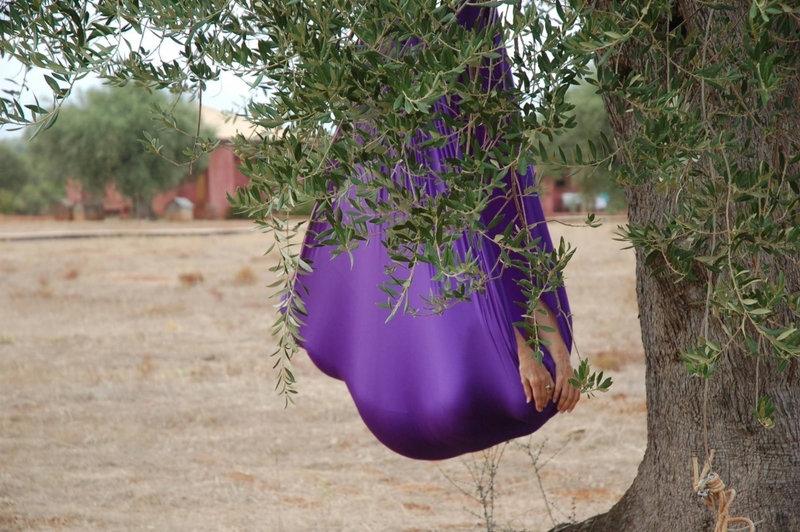 Harmonize your body, mind and spirit surrounded by nature and our perennial olive trees. 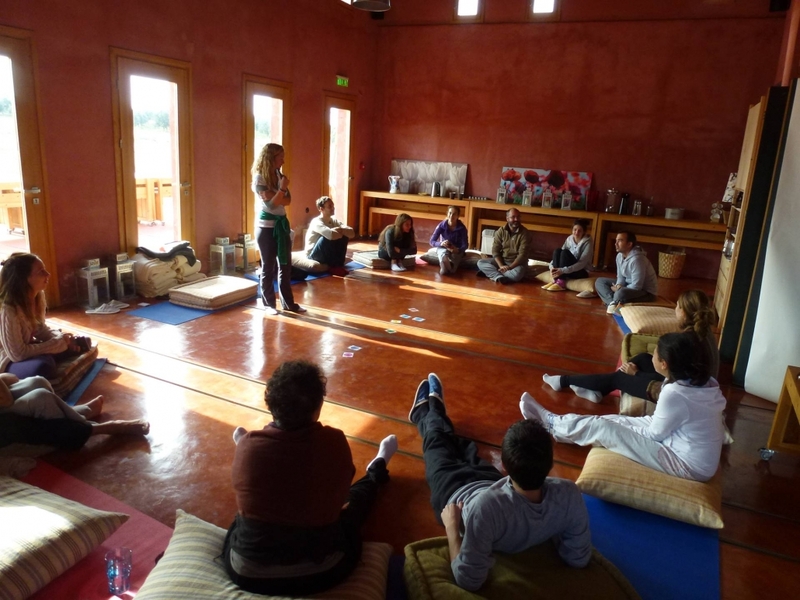 Book a yoga session early in the morning or as the sun sets over Mountains Parnonas & Taygetos. In eumelia you will find all the relaxation you need. 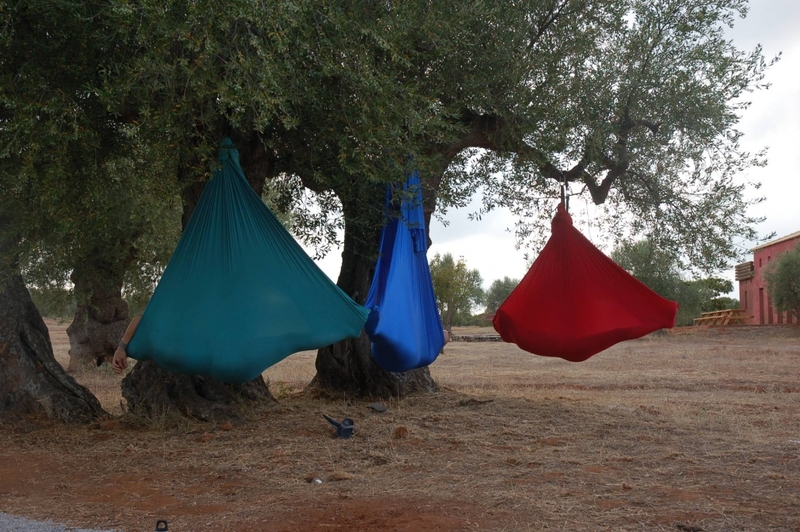 On request we provide massage service to relax your muscles and enhance your well-being with qualified physiotherapist and of course our organic oils made with the wild herbs and the olive oil of the farm. There are mountain bikes available at the farm that you can use to visit the nearby olive groves and the village of Gouves. Walk around Mount Parnonas and learn the plethora of wild herbs, smell and feel the Greek spring that will forever keep you company in your heart. Hike up the majestic Mount Taygetos and view the Laconic region from the eye of an eagle. We can organize for your group a walk and a picnic at the delta of the Evrotas River a Natura protected area and a sanctuary of wild life.